Staffing for summer camps is becoming more and more time consuming. 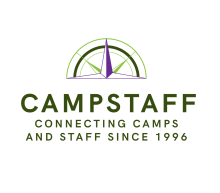 One the last 20 plus years of CampStaff.com we’ve seen a shift from job seekers trying to catch the eye of staffing coordinators to summer camps trying to stay connected with potential camp job applicants. While CampStaff can help make staff recruiting more efficient, camp directors know there are many other parts of the off season that need management help and a strong database program can help immensely. We asked our friends at CircuiTree to give some tips for choosing camp management software. Was the Database Built specifically for summer camps? There are a lot of customer relationship management databases out there, but you’ll want to choose a solution that’s designed exclusively for camps. -Don’t settle for a streamlined system with lightweight features. Pick a camp database that offers all of the management tools you’ll need down the line. – Cloud-based. Invest in a camp database that’s completely cloud-based, meaning you’ll be able to access your camp data whenever, wherever you need it. Does it allow you to Manage your camper data effectively? -your team should have processes in place to ensure you have all the data on hand you’ll need to effectively serve your customers. -your camp data strategy should lay the groundwork for collecting camper information as early in the process as possible. -build robust camper profiles; include verything from your camper’s contact information, to their relationships with other campers, to their medical history, and even what school they attend. -your team should be able to customize your camper profiles to capture all of the data you’ll need to know about your customers. Does the software allow you to optimize the registration process? Camper registration can play a huge role in your camp’s management efforts and sets the tone for their overall experience with your camp. Since this is the last step in the buying cycle for camp families, your registration process can be completed as quickly and easily as possible. – Match your registration form to your camp’s brand. Campers are more likely to complete your registration process if they see your familiar branded colors, logo, and typeface. – Customize the registration process to meet your needs. Registration shouldn’t be one-size-fits all! Customize the steps and order of your online registration forms. If registration is cumbersome or confusing, they’ll be less likely to complete the process. – Automate registration emails to steward campers. Prevent registration abandonment by automating reminder emails for campers to complete their forms. Does the database allow you to leverage financial management tools? – Process online payments. Your customers expect to be able to pay their camp bills online. Choose software that makes these transactions convenient for customers. – Manage camper billing. Pick a camp management platform that lets your team issue bills and billing reminders to customers. – Conduct camp store transactions. Your camp may have a “general store” for your campers, so choose software that processes these payments easily. How well does it allow you to keep track of your communications? The way that your team communicates with campers and their families can make a big impression on your customers. After all, parents won’t want to send their children to a camp that communicates ineffectively or irregularly. 1.Your camp management software should provide in-built email management solutions. 2. Your team should be able to draft email templates, merge camper data into messages, and schedule emails to your customers. 3. Customize your marketing emails, newsletters, billing messages, and more with your camp’s branding for a personalized touch. Does it help you manage prospective campers? Your camp management strategy isn’t just limited to managing active campers. Your camp management software should help streamline your relationships with prospective campers and boost camper conversion rates..
-Tracks prospective campers from the start of the buying cycle. As soon as a camper fills out a request for more information, they should be logged into your system. -Follows up with abandoning prospects. Once that prospect is added to your system, your software should follow up with them automatically to steer them toward registration. -Automate email reminders. Use your camp management software to draft and trigger reminder emails to help ensure prospects complete registration once they’ve started it. Does it help with staff management? -Create staff profiles. Just as you create camper profiles, build unique staffer profiles that house all of your employees’ information in one consolidated place. -Manage payroll. Use your camp management software to record payroll information and then export that data into your payroll system of choice. -Steer former campers toward staff roles. Many of your current staffers are former campers. Pick a system that can help your team easily scout staffers from old camper profiles, and then convert camper profiles into staffer profiles. There’s a lot to account for when it comes to to selecting effective camp management software. But, with the right software your team is sure to succeed! Article Written by Glen Greenstone. Before becoming a camp professional, Glen enjoyed many other pursuits. A native San Diegan, he worked through college as a 9-1-1 dispatcher. He has a passion for literature and the outdoors, and is a veteran of U.S. Coast Guard, so he naturally loves to get out on the water with his wife and two kids whenever possible. He loves hearing camp cheers outside his office window during the summer, while helping camps across the country overcome their unique challenges by working at Circuitree!